For the first time ever, MM&M is giving readers an inside look into some of the industry’s top organizations when it comes to employee satisfaction. Read on to see what makes these nine companies stand out from the crowd. Axon’s family-first philosophy, based on the belief that in order to be 100% focused and productive at work, employees’ personal lives need to be in order as well, not only earned it the highest rating of any participant when it came to achieving work-life balance, but also earned the company tremendous accolades from its staff when it came to loyalty and accountability. Judges were impressed with the array of extensive benefits and offerings Axon provides – more than most agencies double its size – which in their opinion further demonstrated the high value it places on culture and investment in its talent. Perks such as giving every employee $250 to utilize for anything related to health and wellness and the opportunity after five years of employment to take a 12-week sabbatical at 50% pay were just a few of the reasons they noted for the high marks they bestowed. Through guidance to help employees grow into polished, well-rounded, and professional people, Axon has worked hard to ensure employees feel they are making a positive impact not only on the company, but also on the healthcare community as a whole, with several employees noting how excited they are to “see what the future holds” for Axon. Described by many employees as a “small agency with an entrepreneurial feel,” the leadership team at Create NYC has a goal of “fostering a culture that values and recognizes people,” which it is well on its way to achieving with perks such as a $1,000 annual wellness bonus employees can put toward anything they feel helps improve their physical or emotional well-being, and awards for outstanding client work. Successfully fostering an environment where “winning and fun aren’t mutually exclusive” helped Verywell, an online health publisher, win a coveted spot on our first ever MM&M Best Places to Work list. Judges were impressed with how deftly the company addressed some classic pain points by offering a commuter subsidy, unlimited PTO, and near constant access to food in a fully stocked kitchen, with weekly perks such as Bagel Thursday and Pizza Tuesday, to name a few. Employees were unanimous in their gratification for the agency’s “extreme flexibility” with schedules, and its mindset that certain matters such as family and employee health should always take priority. They also felt leadership did a fantastic job of setting manageable daily goals that helped maximize productivity in the office, while allowing employees to “completely unplug” during time off. By ensuring employees know each and every one of their contributions matter and all opinions shared will be respected, Verywell has managed to cultivate an environment where people love coming to work to collaborate and help drive the success of a brand in which the entire team is personally vested. While a lot of organizations may say they appreciate their employees, it would seem Heartbeat has put its money where its mouth is. From fun in-office competitions with incredible prizes, to gifts for employee anniversaries, and even an annual employee appreciation week featuring massages, breakfasts, desserts, wine tastings, and cocktail making classes, it’s not hard to see why “morale is incredibly high” and turnover rate incredibly low in this network-owned agency. Judges agreed the company certainly takes personal development very seriously, with its external educational offerings and annual offsite meeting that has taken employees to locations all over the world, including the Bahamas. It would be easy for a company with FCB’s impressive legacy to become complacent, but instead, our judges felt the organization came across as “livelier and more vital than companies half its size.” This “incredible energy” and “never finished mentality,” along with a culture of collaboration and innovation as well as fantastic leadership, are just a few of the reasons employees gave for what motivates them to continue to work hard for both their clients and colleagues. In an effort to help employees maintain a healthy balance between their work and personal lives, FCB has enacted a Flexible Time Off policy, with employees noting they are often “encouraged not to come in” if the weather is bad or they’ve worked longer hours that week due to finishing a client project. “They are terrific in helping us manage our own time to sustain both our professional and personal responsibilities,” said one employee. This “family-like” environment is also fostered with perks such as 20 free days of backup daycare per year for parents, and an onsite chiropractor and acupuncturist are always available to employees to keep stress levels in check. Opportunities for innovation and growth, as well as continued encouragement from leadership to experiment with new tools and methodologies, were just a few of the reasons employees gave for why they feel working at Klick, which also has offices in New York City, has allowed them to “truly make a difference in the world.” Others said they loved the fact leadership training is available at every level, and employees are encouraged to celebrate each other’s successes through a peer-to-peer recognition program called Kudos. Described as “the perfect mix of innovation and roll up your sleeves mentality,” W2O employees share it’s the “endless runway to learn, grow, and evolve with clients and teams internally,” and the “brilliance and camaraderie,” of their teammates that keep them energized and personally invested in their work year after year. To bolster this energy, the company’s leadership is adamant about helping employees maintain a healthy work-life balance, with the agency’s “Work From Home Fridays” policy earning it high praise from staffers and one employee noting, “I am consistently home with my children for both dinner and bedtime, which for a working parent is a huge plus.” The company also offers informal mentorship, team off-sites, and one-on-one coaching, with a focus on helping employees achieve their highest potential and develop as leaders. 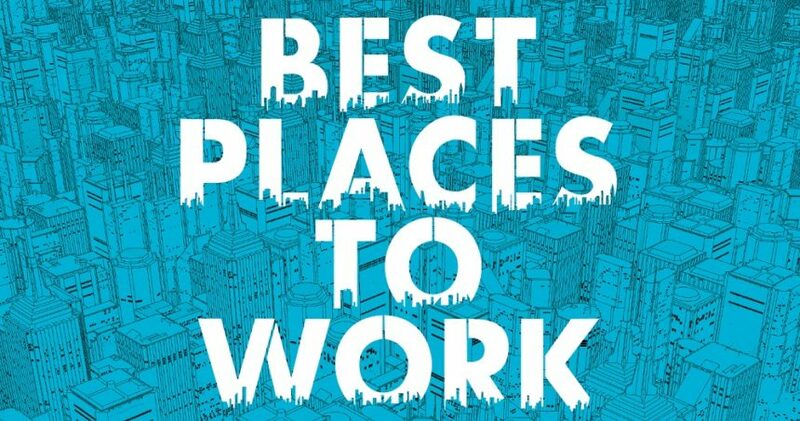 MM&M’s inaugural Best Places to Work initiative, launched in July 2018, invited participating agencies to distribute a link to our survey questionnaire to their employees. We collated scores and narrowed down a shortlist, then convened a panel of MM&M staff and external judges — experts in talent recruitment within the healthcare marketing sector — to pick the winners. For data sets, non-anonymized and anonymized, and to see how your agency stacks up against the competition, see our Best Places to Work Premium Edition.